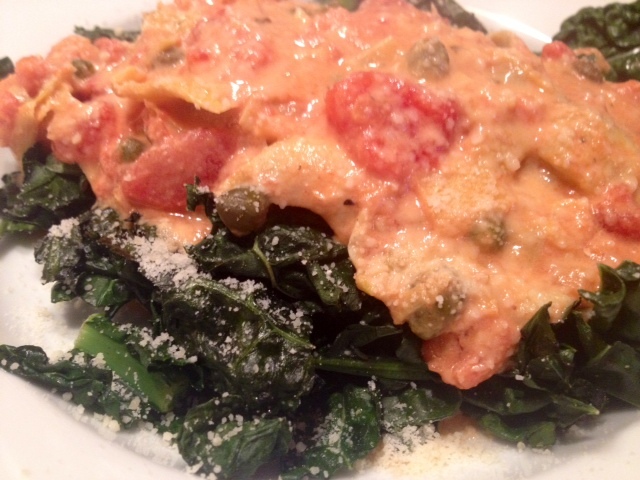 Kale With Artichoke & Caper Marinara. 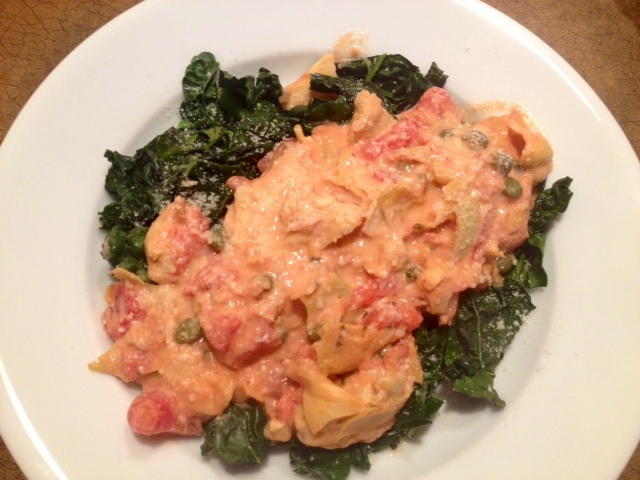 Roasted Kale With Creamy Artichoke & Caper Marinara. I absolutely love kale and finding new ways to cook and eat it! 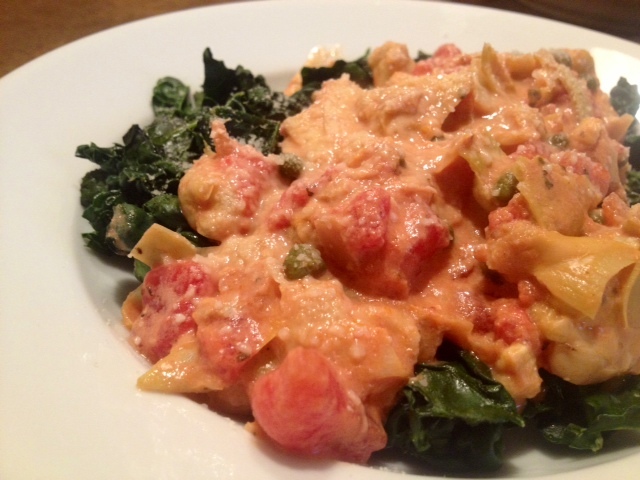 This kale recipe has become a new favorite in our household in recent weeks. It’s light and healthy, but still tastes rich, creamy and flavorful. We eat it as a main course for dinner but it would also make a good side dish as well. You could also top it with some grilled chicken if you wanted to add some extra protein. Spray a large pan with a light layer of non-stick baking spray and then add in the kale. Season lightly with salt and black pepper and cook in the oven on 375 degrees for about 12-15 minutes. 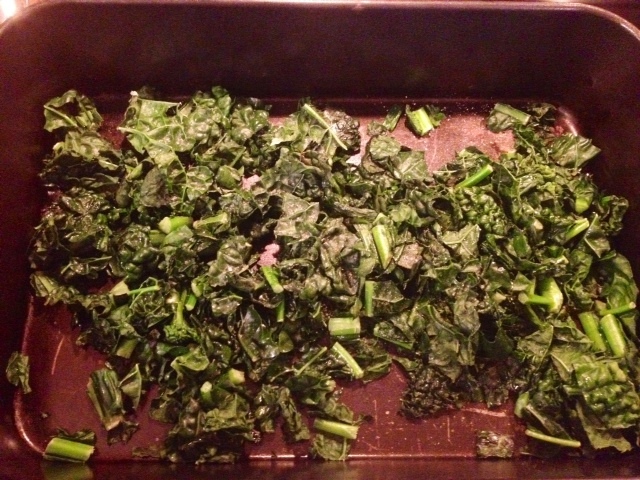 As you cook it, the kale should be slightly crunchy and wilted, but not overly browned and crispy. While the kale is in the oven, heat the diced tomatoes and marinara in a sauce pan on medium-high heat. 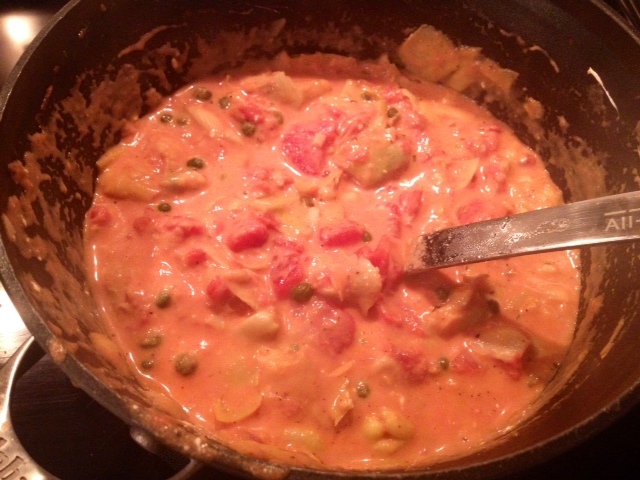 Once the sauce is hot, add in the artichokes, capers and stir in the cream cheese. Season with the garlic powder and a dash of salt/black pepper. When the kale comes out of the oven, plate it and then pour a heaping spoonful of the sauce over top and sprinkle on a small spoonful of Parmesan cheese. ← Roasted Butternut Squash & Brussels Sprouts.